Bayard Rustin, Sally Ride, Harvey Milk. Recognize these names? Rustin organized the 1963 March on Washington where Martin Luther King Jr. delivered his famous “I Have a Dream” speech. Ride was the first American woman in outer space, and Milk made history when he was the first openly gay man elected to office in California. They were all lesbian or gay, and notable LGBT stories like theirs will soon be featured and studied in New Jersey classrooms. Thanks to a recent bill signed by New Jersey governor Phil Murphy, starting with the 2020-2021 school year, students in New Jersey will learn, according to the bill, about “the political, economic, and social contributions” of people who identify as LGBTQ. 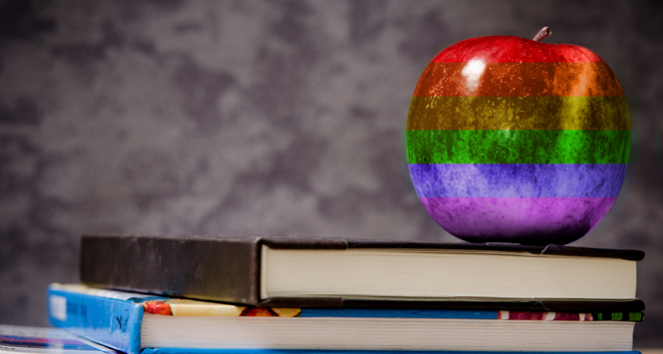 The bill requires the inclusion of LGBTQ history in middle and high school curricula, which makes New Jersey the second state (after California) to mandate schools to do so. Unfortunately, LGBTQ discrimination is still rampant in the U.S. The new legislation aims to promote tolerance and equality, as well as provide a more diverse and inclusive account of history. LGBTQ students will be able to see themselves represented in these figures and feel empowered that they too can create significant change in the world regardless of sexual orientation or gender identity. Members of the LGBTQ community have achieved so much as well as broken barriers against discrimination. Their accomplishments deserve the chance to be commemorated and celebrated, and this bill paves the way for that to happen.